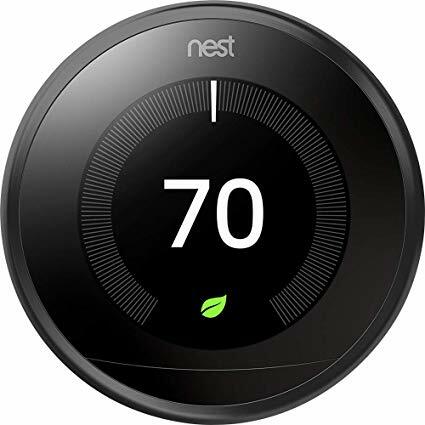 As with most of the technology advancement, there are a wide variety of smart thermostats and various models each with strong aspects which are their selling aspects. In this guide, we have detailed some of the best Wi-Fi thermostats that you can be able to choose from the market. Radio Thermostat CT50 is among the Wi-Fi Thermostats which allows you to be able to access it from anywhere where you have an internet connection. You can also be able to access it via the Android or even the iOS devices using a free application. 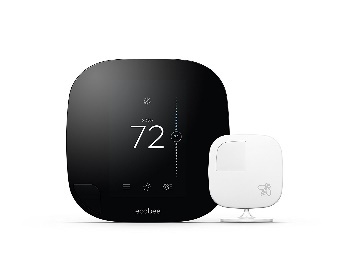 Control from anywhere: Radio Thermostat have been designed from the ground up to work seamlessly with your lifestyle. One touch to save: You only need a single touch to save energy while you are moving. Quick feedback shows the potential savings as you change temperature. It even does show you the temperature outside. Quick preferences: When it comes to scheduling for very many people, it usually a chore. Learning can take weeks or even months. With the inbuilt preferences, the radio thermostats do adjust to energy star recommended settings with so much ease of just drag and drop control. Share with the guests and family: Radio thermostat can easily be shared with the family guests or even anyone, when the guests leave, it is very easy to unshare until the time when they will visit next. 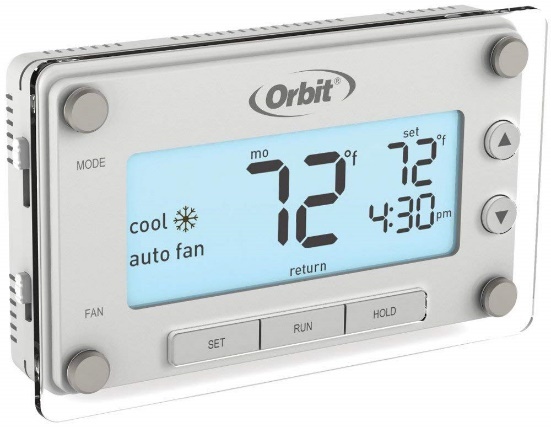 System compatibility: Radio thermostats have been designed to work with all the popular systems which do include forced air, radiant systems, heat pumps, and the millivolt systems. Customizing; It automatically adjusts the heat pump recovery based on fuel type to maximize efficiency. It does draw minimal current from C Wire. API for the one inclined is very simple and does open up the thermostat for any of the automation which you can imagine. Cloud can easily be switched off just in case you are concerned about Google monitoring the thermostat. Are you looking for Wi-Fi Thermostats with a fully programmable energy saving technology? Well, this thermostat has been made for you then. Design: Contemporary and beautiful design which does complement any décor with a very large display and a warm backlight that is meant for easy viewing from across the room. Early start mode which ensures that the desired temperature is reached by programmed time, which does make a very comfortable home whenever you do need it. 7-day programmability: You can program each day with a maximum of 4 programming periods. Copy feature and the temporary and permanent hold mode helps in reducing the programming time which makes it easy to use. It has accurate temperature readings for the ultimate consistent control. Copy and paste: This thermostat took into consideration making it easy for it to have a unique feature. Easy to use: With the easy to use switches, very simple fingertip temperature control and quick programming buttons, this device controls are easy to understand and also very simple to create. Backlit LED screen makes it very easy to read. You can be able to program each day individually up to four periods for every day. The copy feature allows you to be able to copy one [programmed day to another day. Not many Wi-Fi Thermostats have been designed to work with the existing wires which one in existence. However, Emerson Sensi Wi-Fi Thermostat has been designed to work so. It does not need a common wire for most of the installation hence it is compatible with HVAC equipment in many of the homes. Easy installation: With new Sensi mobile app, the installation is even easier than ever before. All you need to do is use this app to indicate the wires which are connected to the old thermostat, and it will configure settings which match your home automatically. 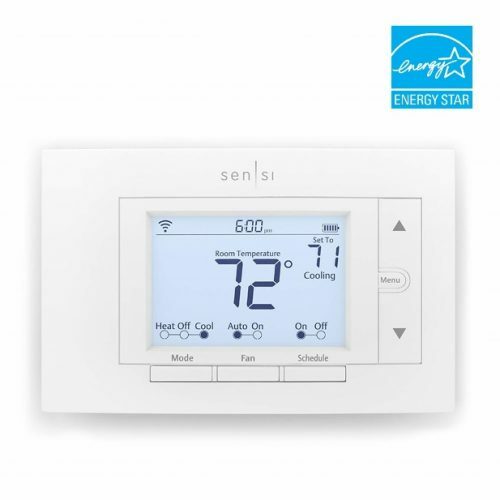 Extensive compatibility: Compatibility is the top priority with the Sensi Wi-Fi Thermostat. It has been designed to work with various systems including oil, geothermal or even heat pump. More comfort, more savings: It has programmable heating and also the cooling schedules, the remote access and the location-based temperature control with the geofencing to help you save on the HVAC related energy costs without necessarily compromising on the comfort. Controlling the home comfort: It has two different choices to be used in controlling your home comfort. Works anytime: Even when you are at home, this thermostat can detect humidity and extreme temperatures which do let you know if the system is working well. Wi-Fi setup process is very easy. Installation is very quick and super easy. 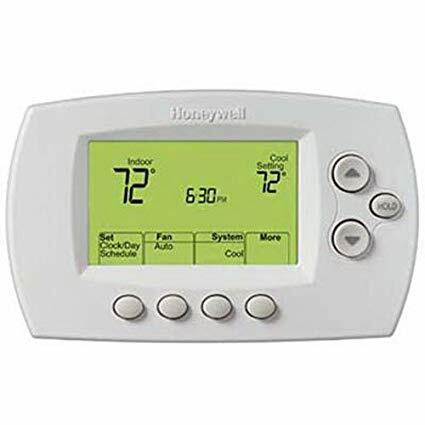 If you are looking for a thermostat which does adapt to life, then you need not look any further as this is the best choice for you. Compatibility: It works well with Alexa for the voice control. C-Wire: It requires Common wire, and this unit is not going to work without it. You can control the smart home with this Amazon Alexa for the voice control and the Apple Homekit with the voice control using Siri, Apple Voice Assistant. Seven Day flexible scheduling or location-based temperature control: It uses geofencing technology to keep track of the smartphone location. An adaptive recovery usually learns how long it does take to be able to achieve right temperature and it automatically runs the system to get the desired temperature when you do want it with an auto change from the heat to cool. Smart alerts: Push the notification for filter changes and extreme temperature warnings keeping you well informed. This device is very compatible with the single majority stage and also multi-stage heat and conventional cooling systems. Google home control that is very easy to set up and nice to be laying in the bed. It has an excellent look, and the display is very clear. 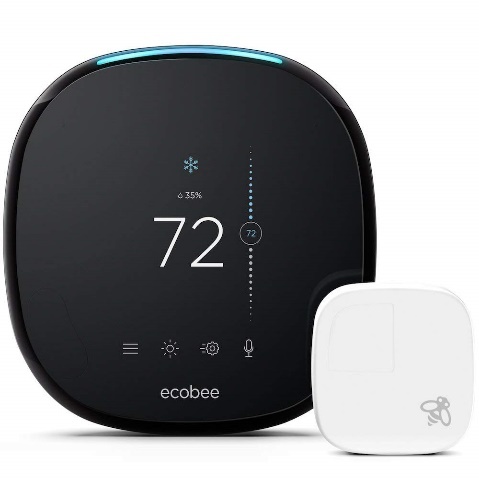 With the inbuilt Alexa voice service, ecobee4 Smart Thermostat has been ranked among the best in the industry. It can be able to listen to the voice commands and also responds very well. Save Money: The homeowners save up to a maximum of 23% annually on cooling costs and also heating costs. Room Sensors: Place them in rooms which matters most and have them balanced in the whole room. Installation is easy: It does only take about thirty minutes as a result of the installation guide which is very clear and well detailed. Control from anywhere: You can easily adjust the thermostat from wherever that you are using the iOS or even the Android device. Inbuilt Alexa: Control the thermostat using your voice by making use of inbuilt Alexa. You will receive maintenance reminders and the alerts if the system has the performance issues. It does provide with the details of how much energy that you are conserving every day. You will enjoy comfort by averaging temperature based on the occupancy. 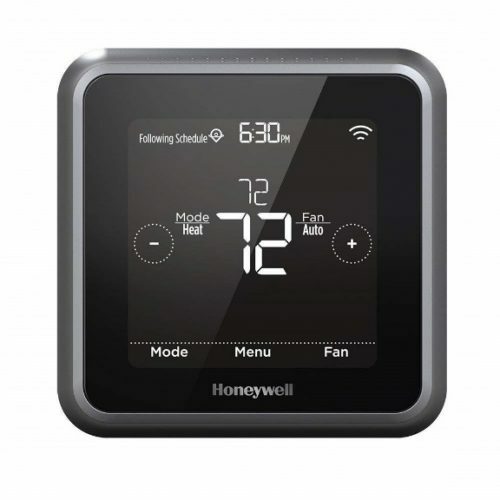 Honeywell has been able to have a very good reputation when it comes to making Wi-Fi thermostats. They are made in a way that they do complement nearly any home or even place of business. They made it beyond our expectation. Compatibility: Easily works with the Alexa for the voice control. It has 7-day programming configuration that contains four program that can achieve everyday. It can view the local weather from the web portal or even app. The device does work with almost all the systems. The Wi-Fi capabilities are more than what you can ask for. It works with networks of 2.4 GHz. App is very simple to use, and it offers so many benefits. It has an excellent app which controls thermostat if need be and then it can notify you. The front panel buttons are very easy to use. Are you looking for Wi-Fi thermostats which have power extender that can be used in case you do not have a C wire? Very easy to install using the Echobee app. The sensors aids in optimizing temp based on the rooms which are occupied. It does work with Alexa for the voice control. Smart: It intuitively understands when to be able to turn on the heating. Also, even the cooling equipment based on the home unique energy profile. Lowers the energy bills: It does lower the energy bills hence saving the homeowner an average of 23% annually. The sensors make it so much customizable. 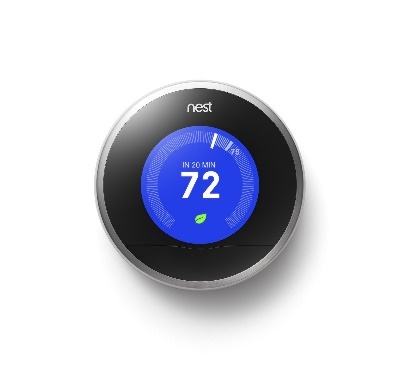 Nest Learning Wi-Fi Thermostats learns from you and the home, with the program being able to program itself automatically. It helps you in saving energy when you are away. Second generation design: It is now 20 percent thinner, and it does work in 95 percent of the homes with very low voltages. Auto-schedule: It does remember temperatures such as programs and the temperatures which you like. Auto-away: The nest can save energy by being able to turn itself down when you are away. Compatibility; It can work with the Alexa for the voice control. It does adjust automatically to the schedule. Hence you do not have to spend the whole day programming. Clean and very simple design that is intuitive to operate and set. It does provide a detailed level of control and information on heating and cooling system. 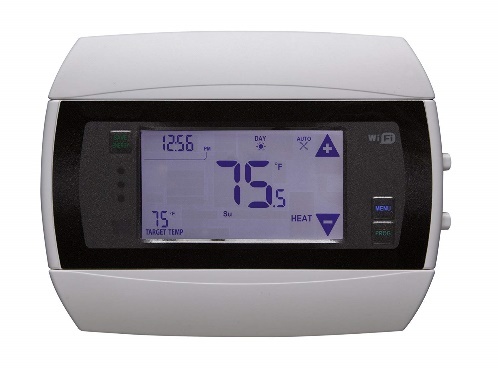 Are you looking for the Wi-Fi thermostats that will make the homework for you? This device can be able to learn what you do like, and it automatically adjusts itself to the comfort level. Saves energy: With four very beautiful colors that you can choose from, it will not only make your home beautiful but also, it will make your home to be energy efficient. Easy to read display: The display has been made in a way that it is very easy to read the display. Smart: With limited manual adjustments, this device can learn the habits, and you will begin to save money by automatically adjusting the temperature. Read display from across your room: Nest Thermostat does something that is new, Farsight, and it does light up to show you the temperature, time and weather. Farsight is very big and also bright on beautiful display hence you can see it across the room. Style for every home: Nest Learning Thermostat does come in four different colors. You choose the one which blends with your home. Works with the nest: Nest has gone on and worked hard to design an interesting device to keep them very secure and safe. Easy installation and the design is very attractive. Great convenience to adjust and also monitor temperatures from the smartphone and Alexa. Very easy to set up the schedules. 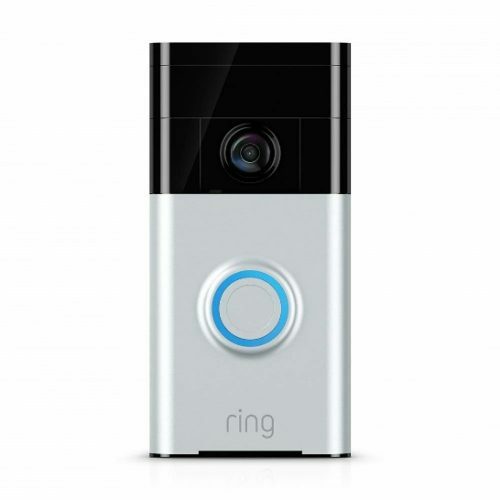 You can stay connected to the home with the motion activated alert, HD video and also two-way talk from the Ring video doorbell. With Ring Wi-Fi Enabled, you will stop your search for other Wi-Fi thermostats. 720 HD Video: Watch over the home in a very wide angle 720 HD video and does protect the property around the clock with the infrared night vision. Motion activated alerts: You can get alerts on the phone, tablet, and PC when any person does press the doorbell or even triggers inbuilt motion sensors. Two way talk: Hear and speak to other people at the door from the mobile device with the inbuilt ring microphone and the speakers. On Demand Video: Check in on the property with a simple press of a button. Easy installation: It comes with all tools to install and also set up the doorbell within a few minutes. Custom motion sensors: Adjust the sensitivity of the motion sensors to find the ideal setting for the home. Works with Alexa: You can use the Alexa to be able to view activity at the door. It has a sleek modern design. Installation is easy as no wiring is needed. Easy access from the smartphones via the Ring Video app. In winter, you do not want the heating cost to take all your cash from the wallet. Nevertheless, you do also want to make the home toasty. Wi-Fi thermostat will allow you to easily monitor and also control the home temperature from the smartphone, tablet or PC. You can also be able to reduce the energy bill too. This is because such devices easily monitor the humidity and temperature inside and outside the home, comings, and goings as well as tailor heating and also cooling cycles. Most of the above Wi-Fi thermostats have a design for the low voltage systems. There are various apps which you can use to control the app.